Corfu Mare Boutique Hotel is a welcoming and warm hotel located in Kefalomantouko, a green suburb of Corfu town, offering the peace and quiet unique in this vicinity of Corfu city centre, to be found surprisingly only 1.5km from the town centre of Corfu, 500m from the port and 2km from Corfu Airport. 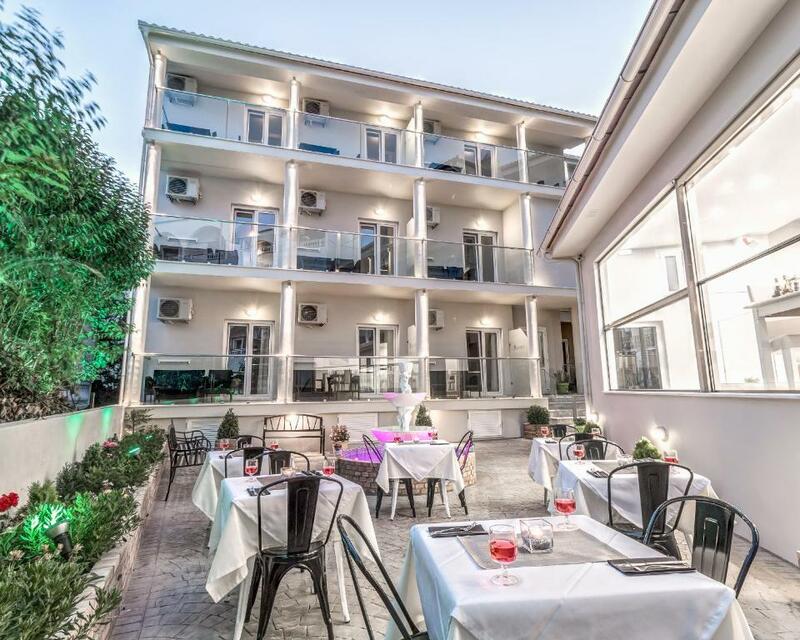 At the same time Corfu Mare is only a 5 minute walk from the epicenter of the nightlife Corfu has to offer, with a multitude of nightclubs, bars and restaurants on offer. Mega hotel is a 2 star hotel in Ipsos beach (well known as the Golden Mile beach) Almost 14 km from the city of Corfu Town and only 10 meters away from the beach, 56 rooms are waiting for you in order to offer unique hospitality. A beach front hotel. All rooms have balconies A/C and TV for the ultimate relaxation and just few minutes away from all activities. All rooms have balconies A/C and TV for the ultimate relaxation. Mega Hotel is conveniently located in the middle of Ipsos Bay a few minutes away from all activities.